Many spring breakers spend their time relaxing or partying in warm weather, but there are plenty of other great things to do at the top 5 spring break destinations. Tampa not only has beautiful beaches nearby but so many other fun things to do. You can rent paddle boards or water bikes and explore the bay area, visit Busch Gardens or the Florida Aquarium, go see the Big Cat Rescue, or hike the upper Tampa Bay trail. South Padre Island is the perfect getaway for the adventurous spring breakers who want to see and try new things. At South Padre Island you can fish, rent jet skis, surf, paddle board, visit a sea turtle center, and even visit a bird and nature center. Don’t be thrown off by the name of the state, because Texas is the home to some amazing tropical paradises. It may be hard to avoid all the casinos and bars in Las Vegas, but if you can, there are tons of other great opportunities to take advantage of during your spring break. You can visit the Red Rock National Conservation Center, Shark Reef at Mandalay Bay, Clark County Wetlands Park, or even the Las Vegas Natural History Museum. New Orleans is known for their liveliness, but they have other great spots to visit too. The Aquarium or the Americas, Audubon Zoo, National WWII museum, Mercedes- Benz Super dome, and the Jean Lafitte National Historical Park and Preserve are all great sites to see while in New Orleans. The luscious culture of New Orleans is definitely something to experience, but a more relaxed getaway may be just what you need in the center of all the craziness. Panama City is a huge spring break destination, and there is lots you can do there too. Renting water sports is always an option near water, but you can also visit the Gulf World Marine Park, the Oaks by the Bay Park, or if you decide to bring your dog along your spring break adventure, there is even a luxurious dog park for your furry friends in Panama City. Spring break can be anything you want it to be, but just remember there is always something to find for a more relaxing time. I thought this was a very well-written blog and I thought it was a great idea to list the 5 destinations. I was curious as to how the destinations were ranked as the top 5, whether it was the blogger’s opinion or derived from data obtained from a poll? Either way, they all sound like great places and I think it was smart to choose 5 geographically distant places to give more diverse spring break ideas. For me, Spring break has always been a time for relaxing with friends and having a good time away from classes. I actually haven’t been to any of these destinations, but they each offer activities that you wouldn’t think of right away. For example, I had no idea Texas was such a spot for a tropical vacation. Also, when I think of New Orleans, I think of constant drinking and partying, but it’s interesting to see there is a lot more to do there. Really enjoyed this post and hope I can visit these places one day! Most people in college love to go places like Panama City, or the bahama’s for Spring break. And there is nothing wrong with that! What people don’t realize is that there are way more beautiful places you can go besides just Panama City. Although most people like to get their fix of fruity drinks by the pool, have you ever thought of exploring places? Reading about the Zoo’s, museum’s, and aquarium’s all sound awesome to me! I need to step out of my normal Spring break routine and try some of these for a change. Spring Break is a great time to travel and I fully agree that these top 5 places have many things to offer and would make for a great destination for spring breakers. Even though these spots all have different attractions and excursions to provide they make for a well rounded list for all types of people looking for interesting places to visit. I personally went to South Beach, Florida this spring break, this is not far from one of the top 5 places to visit and was a very fun place to go for spring break. I say that to say that I believe everyone should follow what interest them most about the landscape, atmosphere, and culture of a location rather than following the most hyped place to visit or the most advertised. Traveling is not cheap and spending your money on places you will remember for life is investing your money into life long memories instead of possessions. I actually went to Florida for Spring break, and agree that it’s a great destination to go for vacation. All of the other listed spring break destinations look just as fun. This post was really informative and helpful if someone was planning a trip. I am very much interested in going to san padre, texas for my next trip because I have always thought that texas is just a huge flat landscape but since you advertised surfing then I am willing to do some research on what its like over there. I loved your blog post! So many college students spend the majority of their time finding the best places to party, that they miss out on so much of their surroundings. Although there is absolutely nothing wrong with that either, I think it is so great to absorb the different cities you visit. Traveling is such an amazing way to broaden your horizons and I believe it is important to always experience a new place as much as you can when you visit. 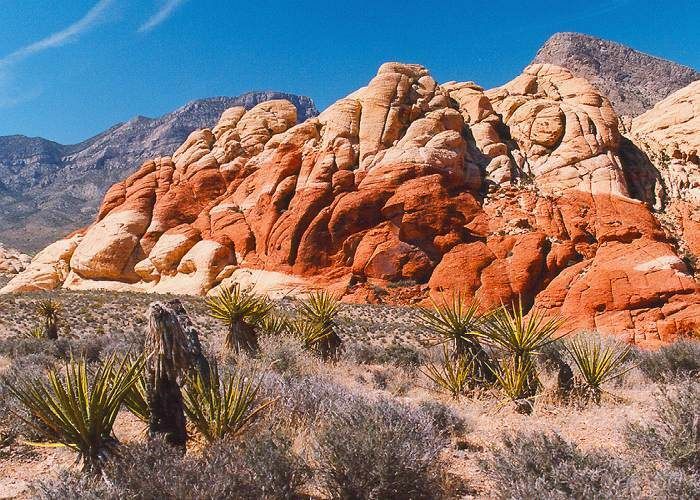 I hope some day to hike outside of Las Vegas like you mentioned and visit the Red Rock National Conservation Center!